A loan of $325 helped to purchase organic fertilizer. Loreta is 46 years old, married with two children and lives in Calabayan, Ozamiz City, Misamis Occidental. She owns and operates a coconut production business to earn a living. She has been in her business for many years and earns well from every cropping. She joined GDMPC in the year 2011. 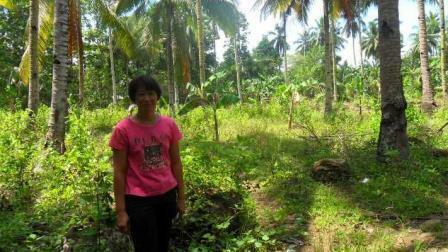 Her previous loan was successfully repaid and now she has requested a loan of 15,000 PHP to purchase organic fertilizer. She plans to use the additional revenue generated to improve the general living conditions of her family.